Jack brings 30 plus years of field proven experience- from a starting base with the CPA firm Arthur Andersen to the CEO level of several national companies. Jack is a proven CEO/Entrepreneur, having built 6 companies into national firms, two of which he has subsequently sold to the Wall Street Firms of Solomon Brothers and First Boston. In 1985, Jack relocated to California from the east coast and started a mortgage company with 3 colleagues. As CEO, Jack led the company through robust growth in its initial 18 months to 750 employees, 22 offices nationwide, producing $350 million per month in mortgages, and in it’s first three years the company reported profits of $42 million. In 1998, working as a senior partner in a 5 year-old privately held Enterprise, Jack helped the company to be recognized as Entrepreneur of the Year by Ernst & Young and ranked #10 on the Inc. 500 list of the fastest growing firms nationwide. Two-time Amazon best-selling author of Hyper Sales Growth and Paper NapkinWisdom. Jack has been married for 47 years to his high school sweetheart. Jack has now completed fifteen Ironman’s in eight countries, on five continents and made TEAM USA in 2012. Jack has played golf at over 92 of the Top 100 golf courses in the USA. To date, Jack has completed 88 marathons in 49 states in the USA. Jack has bungee jumped the world’s first and world’s largest bungee jumps. Born and raised in Philadelphia, Jack currently resides in San Clemente, California. His education includes an MBA from Wilmington College and a BS from LaSalle College. Jack held the rank of Captain in the U.S. Army. A nationally known professional speaker, Jack leads with content, delivers with contagious enthusiasm, and leaves his audiences wanting more and committed to taking action. His use of real life anecdotes and his ability to say what most people “just think” leaves a message that stays with them for years. An accomplished author of books, DVD’s, and business articles, Jack is committed to getting his audiences involved and taking action. He believes that success is by design, not chance. Using this formula for success, he has helped companies realize greater sales and profits! He brings to you many years of “street tested” techniques and proven methodologies designed to pull higher results from your sales and sales management efforts. Thousands of companies and professionals have benefited personally, financially, and professionally using the concepts Jack teaches. Jack has spoken to companies of all sizes, including Fortune 500, Inc. 500, YPO, EO, Vistage, Trade Associations, Conventions, Non-profits and Schools. 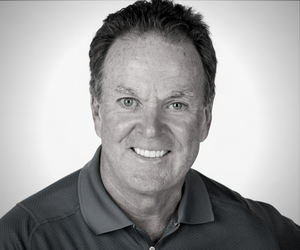 Jack Daly speaks from experience and has helped thousands of individuals and organizations reach their full potential.